For Sale: Building and Business ONLY. All Furniture, Fixtures and Equipment included. Land is on ground lease. Operating car wash located within a shopping center on Cassidy Boulevard, in Pikeville- Pike County, Kentucky. This business is located near the entrance of a very busy area filled with numerous other retail and restaurant venues, with great co-tenancy and high volume traffic. It's well positioned in an intensely developed commercial retail neighborhood. 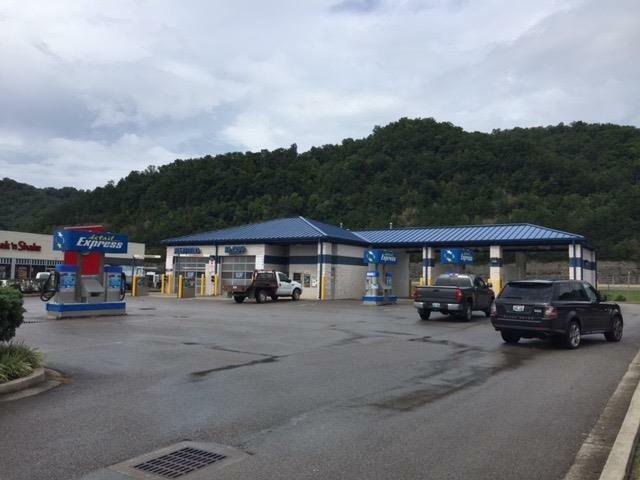 This 5 bay car wash consist of 2 automatic and 3 self-service bays with multiple vacuum stations. High destination center with neighboring National Tenants including: Wal-Mart, Lowes, Staples, McDonalds, Applebee's, Dollar Tree and Hobby Lobby. Please note: This property is under Receivership and the information contained herein is believed to be true and accurate, provided, however, no representations or warranties of any kind are made hereby and the recipient hereof is relying exclusively on its own due diligence.